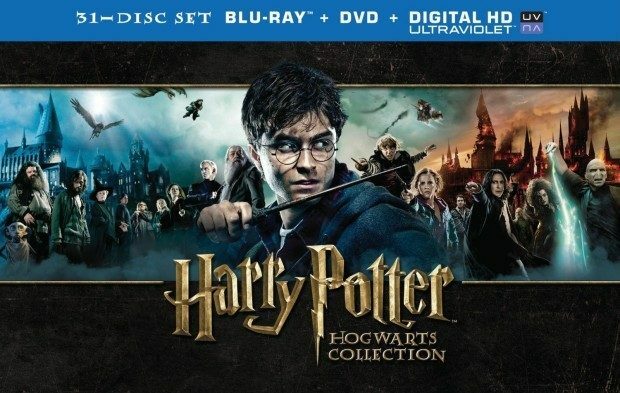 Harry Potter Hogwarts Collection (Blu-ray + DVD) Just $97.99 All 8 Movies PLUS MORE! Down From $141! You are here: Home / Great Deals / Amazon Deals / Harry Potter Hogwarts Collection (Blu-ray + DVD) Just $97.99 All 8 Movies PLUS MORE! Down From $141! If you or someone you know is a Harry Potter fan then this is the deal for you! You can get all eight Harry Potter Movies PLUS special features right now for 61% off! This would make a great gift! The entire set normally goes for $141, but right now it’s marked down to just $97.99!